Rushed designs for our long-awaited return to the Premier League, no surprise with the club changing owners. 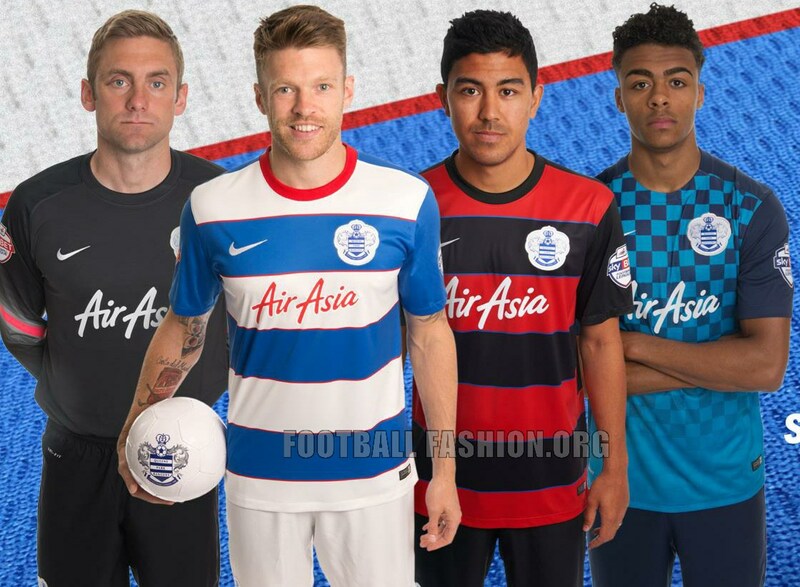 Still unsure how Tony Fernandes' rival airline got the nod to sponsor the home shirt. A bit more thought here with the home kit, which looks much better without the stick-on sponsor. The away efforts are barely worth mentioning. Green shirts, like orange shirts, are a no-no in football. Otherwise, great efforts all round. For some reason, Nike insist that all clubs entering into a partnership with them, have to use their generic shirts for the first season. It's a good job they had a blue and white hooped one then. Nice shade of blue if little else. The away designs won't be remembered for long. No fussing around here, big hoops are back but not as classy as those from 2013/14. Third kit unmemorable. A good riddance to Nike and hello to Drywold, who only last one season. A bit of old school style along with the new badge made for a good first effort. 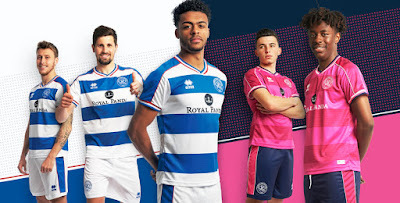 Strange choice of colours for change of strips. 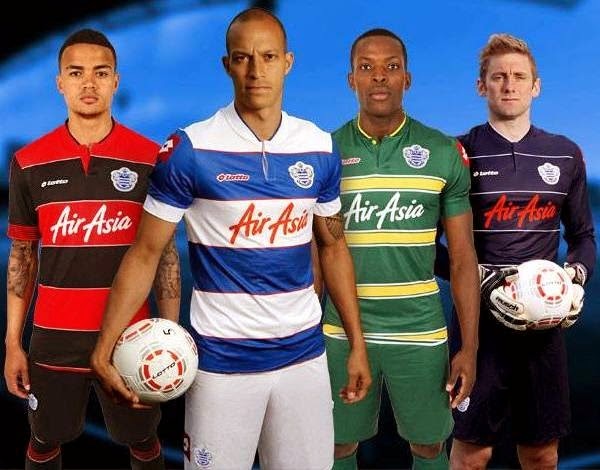 All ok, the new sponsor just looks a bit messy, with QPR sadly succumbing to the lure of cash-rich online casinos. Italian mob Errea now the chosen one. 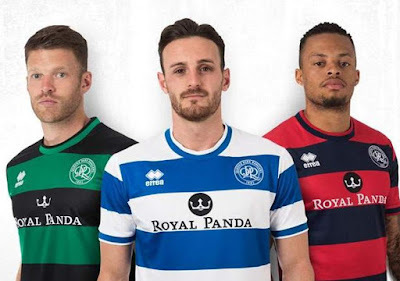 Much better from Errea, think the Royal Panda logo and wording should be on different hoops and in different colours, like the KLM days. Black and red hoops have their bi-annual ditching for salmon-pink, which actually looks alright. Expect a third kit to be launched in time for the Christmas market. I really loved the all-white third kit. You need to add Nike 2015/2016 and the new Dryworld please!